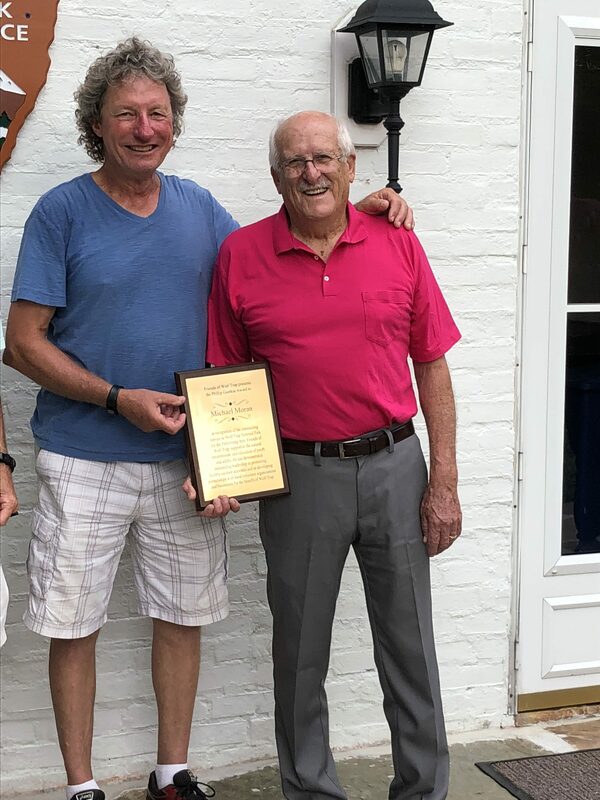 Friends of Wolf Trap (FOWT) presented Michael Moran (FOWT Board Member, Emeritus) with the Phillip Goetkin Award on August 20th, 2018. 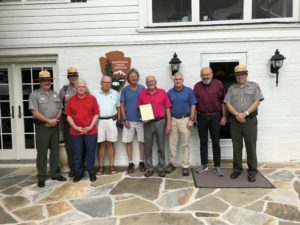 Mr. Moran played an integral role in establishing the trail, served as the first trail overseer, and was a founding director of Friends of Wolf Trap. He established excellent rapport with Wolf Trap staff & liaison with organizations that share the Friends and Park goals for the natural environment. He provided leadership for Boy Scout Eagle projects that have improved the hiking experience. This includes the connector trail between Wolf Trap and Cinnamon Creek Homeowners Association that permits safe foot traffic to Meadowlark and the Fairfax County Gerry Connolly trail.